It all started with a cupcake. 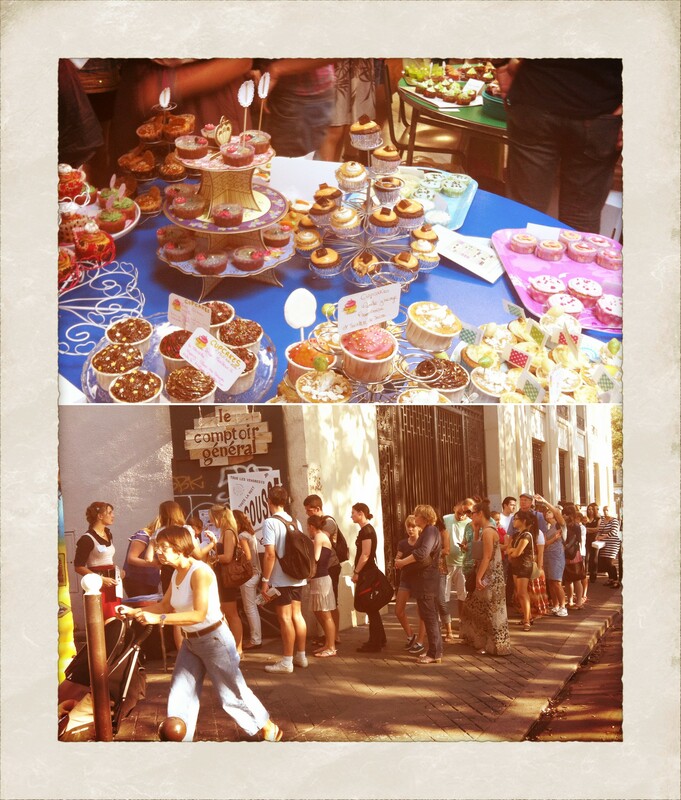 Then, before long a queue of New Yorkers appeared- lining up on a Manhattan street for cutsie iced cakes in a myriad of colours and flavours. The trend spread across the globe faster than a pandemic superbug. Australia, UK, Japan and Paris jumped on the cupcake bandwagon. Cupcakes became the new macaron – even in the city of macarons itself. And so, the French love affair with American food began. 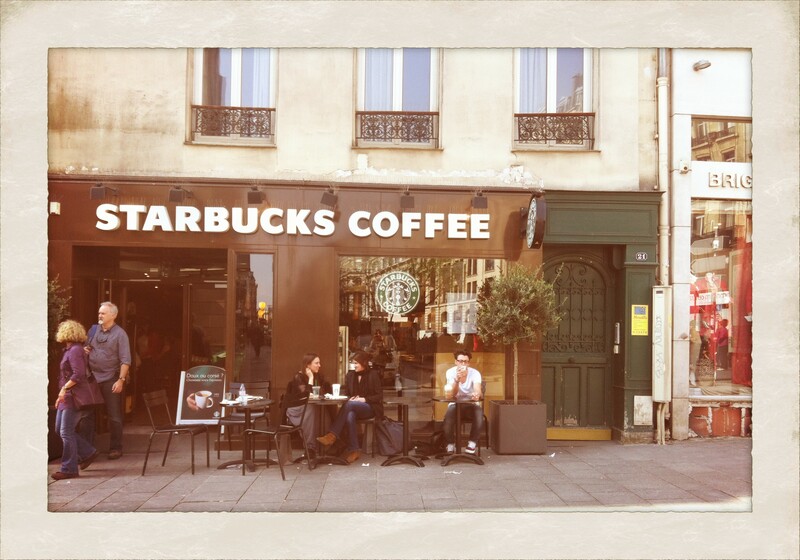 In 2003, Starbucks introduced the French to the concept of coffee with milk. Lots of milk, and whipped cream, to wash down a nice big slice of raspberry swirl yew york cheesecake, a donut or a giant white chocolate and caramel muffin. It’s all rather ironic. The French, well-known for their own celebrated food culture and openly expressed abhorrence to what they have long called “La malbouffe aux États-Unis” (bad food of America) have developed quite a taste for good old American comfort food and it appears that the feelings are mutual. New Yorkers have always had a thing for Paris, but now Paris is becoming equally as fascinated and with New York style dining and the realm of American food. If you’re visiting Paris, don’t expect to see locals queuing up at cute little crêpe stands – instead you’ll find them lining up by the hundreds for Starbucks, American cocktails, gravlax and cream cheese bagels, pancakes with bacon, and big, beefy, cheesy, American BURGERS. 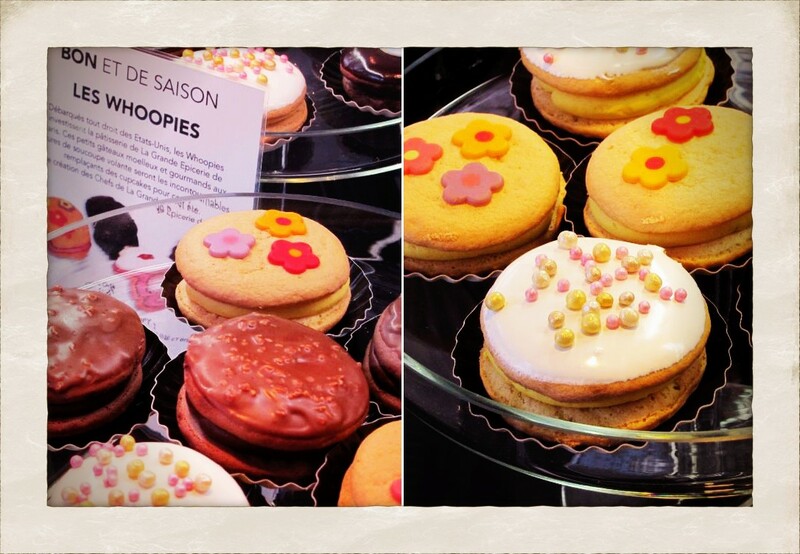 Whoopie Pies on display at La Grande Epicerie Paris. 18 months ago in an interview I was asked what I thought the next big food trend was in Paris. I said, “It’s going to be cookies. 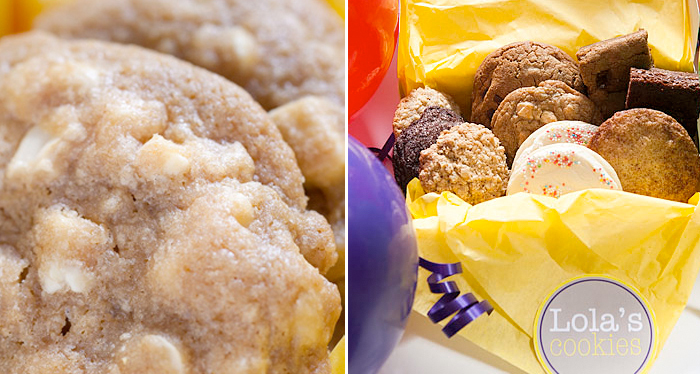 American-style cookies.” The journalist laughed and left it out of the article. Now they are springing up all over the place. Move aside ‘Little Miss Combawa Sesame Crème Macaron’, your Grande Epicerie vitrine real estate has been taken over by its sweeter American sister to keep our trend happy Parisian clientele happy with what they want now: WHOOPIE PIES. And it’s only just the beginning. Dare I say it… the American products being made on French turf are possibly even better than what I have eaten when in America. In Paris’ touristic Saint Germain, I never thought it was possible to have such a moment with a caramel fudge milk chocolate cookie. 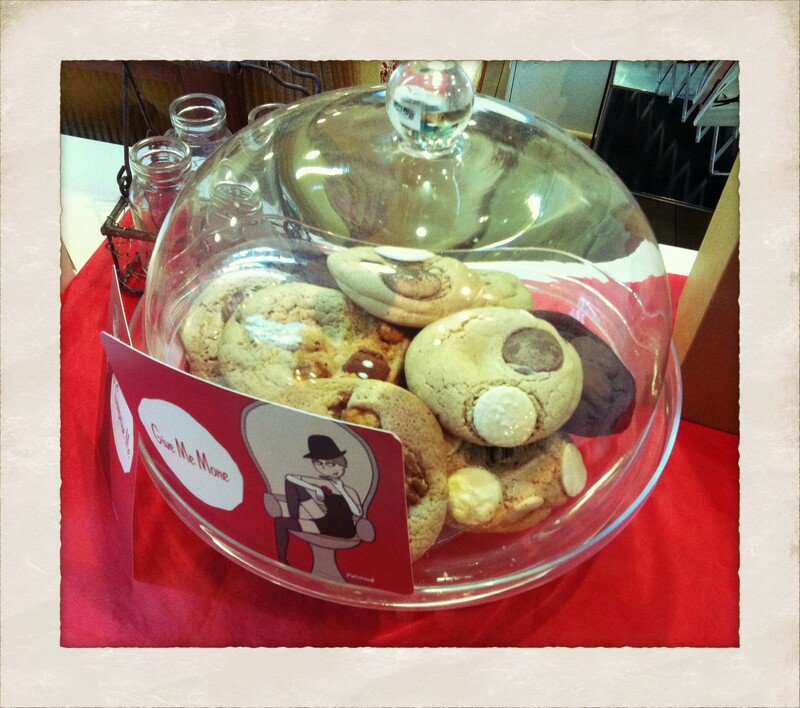 The tiny It Mylk boutique is now selling a range of handmade cookies, supplied daily. These things are really something else. Their creator rests the dough for up to two days and has cleverly engineered the chocolate chunks to be in a permanently semi-melted state. I don’t even want to think about how many sets of Parisian stairs I should have climbed after eating that. American expats Lindsay Tramuta and her business partner Chloe last year launched their own brand American cookies baked in Paris- Lola’s cookies. Lola’s delicious range includes all the classics from brownies and peanut butter and chocolate, through to white chocolate chunk with lemon and cashew. It’s not hard to imagine why they’re fast building a cookie-addicted following amongst hipster Parisians. PDG has become a burger institution in Paris since it opened in the same year as Starbucks, back in 2003. The American style eatery serves what is claimed to be one of the best burgers in Paris, using bread rolls from top Parisian baker Eric Kayser. Manager Pierre Lannadere has become used to French customers requesting bizarre combinations such as fried eggs with pancakes and hash browns – knowing it’s merely the norm in the US. 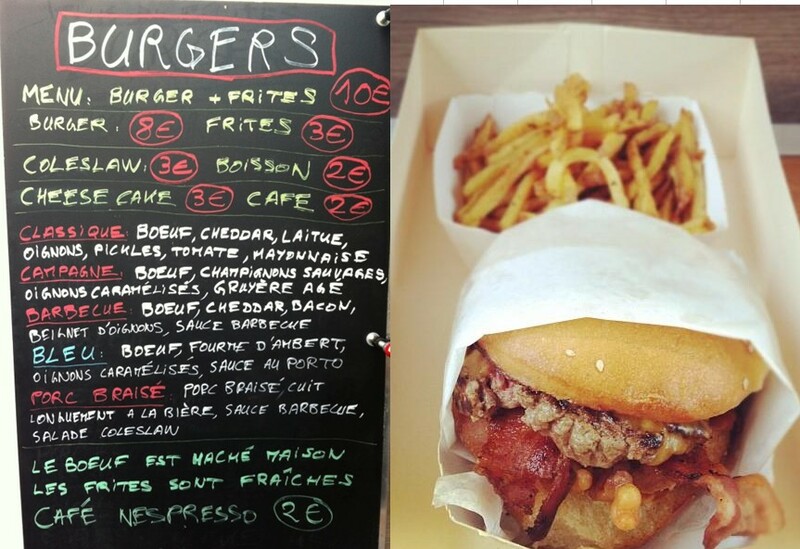 Burgers and menu at Paris' first food truck. More recently, Le Camion Qui Fume succeeded in overcoming French legislation and exhaustive red tape and paperwork, making them Paris’ first mobile food truck. Yes that’s right, American food trucks have made their way to the very city where spotting someone eating a meal, let alone a burger on the run is about as rare a sighting as a free seat on the line 1 metro at peak hour. The food truck, run by a Californian native, moves about between locations, which are published via their twitter feed which on this day has close to 5,500 followers. 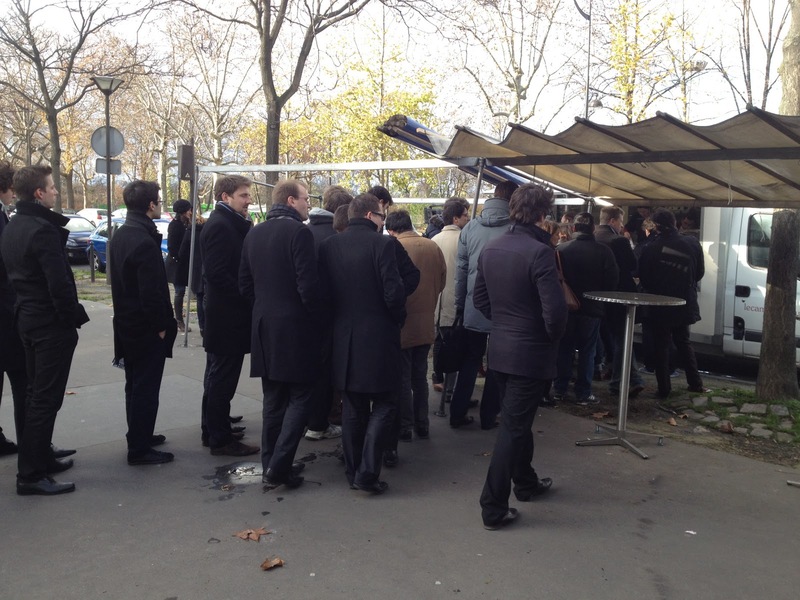 Paris’ first food truck is drawing huge crowds of Parisians prepared to wait in extended queues to get their burger fix from a menu offering classics such as cheeseburgers with lettuce, pickles and ketchup, through to the more ‘Frenchiefied’ version of beef, Fourme d’Ambert blue cheese with caramelized onion and porto sauce. From the same group who revolutionised the Paris cocktail scene with establishments such as Prescription and Experimental Cocktails Clubs, having sister bars in London and New York, their next venture – the Beef Club Restaurant is about to open its doors (if they can fit you inside when they do). Yes, you guessed it- the concept is a full American-style beef BBQ menu with a basement level cocktail bar and club. Scwhartz Deli represents a little corner of the NYC in the heart of the historic Marais. A brunch table there on a Sunday is a coveted spot where you will be competing with a horde of others, hungry to fill up on salmon gravlax cream cheese bagels, pastrami sandwiches, turkey sausage salad and matzos meatball soup. RICCI Italian has opened in an upcoming pocket of the 17th arrondissement as a New York diner-style restaurant serving Italian American fare such as Charolais, speck and Gorgonzola burgers, fresh burrata, meatball pasta and gourmet pizzas to go. Breakfast in America now has two locations on both Paris’ left and right banks. Their no reservations policy means that you will have to wait (that’s what we do in Paris) in line, at cholesterol corner with the rest of them for your Connecticut omelette or ham steak and eggs, followed by Ben and Jerry’s ice cream, pecan pie and Dr Pepper soda. Every time I walk into a bookstore, I am spotting more and more New York patisserie cookbooks. Recipe books featuring American desserts and New York street food are fast gaining centre stage. Forget mastering Boeuf Bourguignon- the remaining Parisians who do actually cook at home are now keener to perfect the art of Cheeseburgers and Brownies.